It has been a long time since I have posted NOTD and it's no surprise because I haven't bought any new nail polishes in AGES! It pains me every time I say that, but nothing is screaming at me, and saying BUY ME BUY ME! 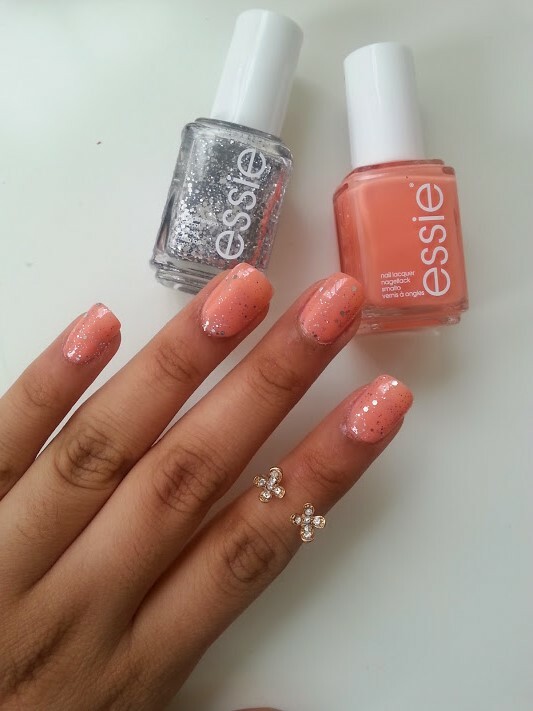 Recently, I have been going back to the same duo or the past few months now and that is Essie's Resort Fling and Set in Stone. Both of these together are even better than on their own and there is just something about the brightness of them both that I love love love! 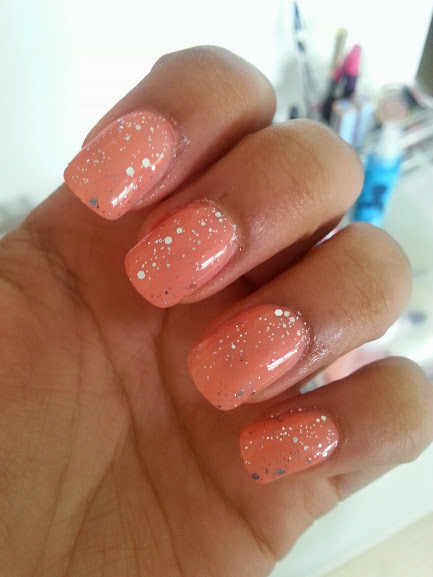 It is also a great 'toe nail' colour and is an ideal good with a tan polish. This is definitely my go to nail combo, perfect for the summer! What are your favourites for this time of year?